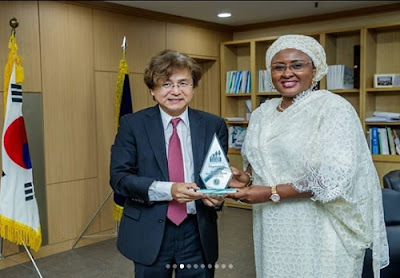 A South Korean university, the University of Ajou, on Tuesday honored the wife of President Aisha Buhari of the World Leadership Award. The spokesman of Mrs. Buhari, Suleiman Haruna, revealed it in a communiqué put at the disposal of the journalists. Haruna said the president's wife was honored on Tuesday with the prize at the Dasan Hall of Suwon University in South Korea. She also had a multimedia center at the university that bears her name. He quoted university president, Professor Hyungju Park, as saying the award was instituted to recognize good examples of leadership, such as the one presented by the president's wife as part of his Future Assured program. Park also said that good leadership is essential for the lives of ordinary people, especially women and children. He said such a virtue should be maintained and recognized around the world in order to be able to face the threat of poor leadership, and expressed the belief that Ms. Buhari's award would encourage leaders to aspire to a good leadership. leadership. Park said that the greatness of a nation was due to the fact that people live a safe and happy life, adding that "if there is no corruption in governance and public life, there will be enough resources to meet the needs of ordinary people, including women. " and the children. " In her acceptance speech, Ms. Buhari expressed her appreciation to the university for finding her worthy of the World Leadership Award and promised that the award would drive her to pursue her passion, not only in Nigeria but wherever she will be. 'opportunity. 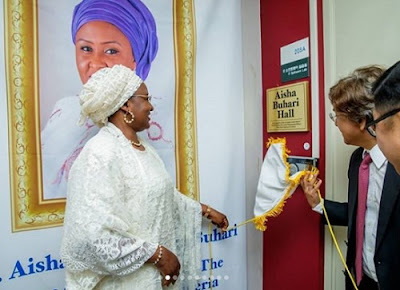 A multimedia room was also named after Ms. Buhari at the university. 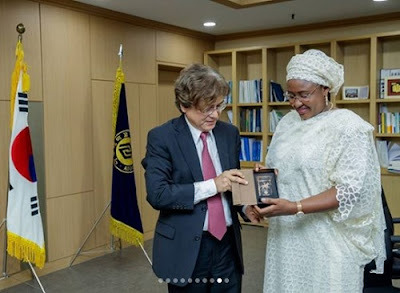 Han Ho, Dean of the University of Human Sciences, said the decision to name the hall after her was a recognition of Ms. Buhari's efforts to protect human rights and educate people.